Prevention for diseases, illness, health disorders etc. By following the suggested six steps, you will begin writing a personal mission statement that will inspire you and will provide direction and guidance for your life. Remember that a personal mission statement is as much discovery as it is creation. Don’t rush it or set rigid timetables for yourself; rather, go slowly through the process, ask yourself the right questions, and think deeply about your values and aspirations. What you want to BE? What character strengths you want to have? What qualities you want to develop? What you want to accomplish? What contributions you want to make? What you want to HAVE? What possessions, money, and so forth you wish to have? For many of us, the third list might be the longest. It’s important to keep in mind, however, that legitimate power and the highest levels of human happiness and fulfillment originate from the be’s. An effective way to focus on what you want to be and do is to identify a highly influential individual in your life and to think about how this individual has contributed to your life. This person may be a parent, work associate, friend, family member, or neighbor. Answer the following questions, keeping in mind your personal goals of what you want to be and do. Who has been one of the most influential people in my life? Which qualities do I most admire in that person? What qualities have I gained (or desire to gain) from that person? Step Two: Define What You Want to BE, DO, and HAVE? What I’d like to BE? What I’d like to DO? What I’d like to HAVE? You live your life in terms of roles – not in the sense of role-playing but in the sense of authentic parts you have chosen to fill. You may have roles in work, in the family, in the community, and in other areas of life. These roles become a natural framework to give order to what you want to do and be. You may define your family role as simply “family member.” Or, you may choose to divide it into roles, such as “wife” and “mother” or “husband” and “father.” Some areas of your life, such as your profession, may involve several roles. For example, you may have one role in administration, one in marketing, one in personnel, and one in long-range planning. Define up to eight life roles and then write these roles in the boxes provided. Next, project yourself forward in time and write a brief statement of how you would most like to be described in that particular role. By identifying your life roles, you will gain perspective and balance. By writing these descriptive statements, you will begin to imagine your highest potentialities. You will also identify the core principles and values you desire to live by. Now that you have identified your life roles and defined what you want to be and do, you are prepared to begin working on your personal mission statement. In the following space, create a rough draft of your mission statement. Draw heavily upon the thinking you’ve done in the previous three steps. Carry this draft with you and make notes, additions, and deletions before you attempt another draft. Is my mission based on timeless, proven principles? Which ones? 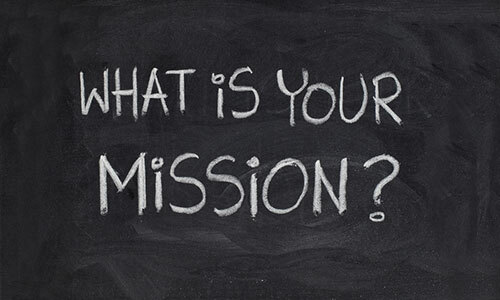 Do I feel the mission statement represents the best that is within me? During my best moments, do I feel good about what this mission represents? Do I feel, direction, purpose, challenge, and motivation when I review this statement? Am I aware of the strategies and skills that will help me live the values and accomplish the goals I have written? What do I need to start doing now to be where I want to be tomorrow? We recommend that for a while you keep a rough draft of your mission statement to revise and evaluate. Be sure it inspires the best within you. When you do have a permanent copy, review it frequently. We strongly recommend you commit your personal mission statement to memory so that you keep your vision and values clearly in mind. Same worksheet in 3 page document *.doc 97Kb View or Download, *.pdf 75Kb View or Download. The counsellor, trainer and lecturer of Balanced and Healthy lifestyle, body, art, music, trance etc philosophy, psychology and psychotherapy. The leader of personal development and team building groups and private practice of psychotherapy. This entry was posted in Our Worksheets and tagged Motivation, Personal Development, Productivity, Supreme Success. Bookmark the permalink.